Virtual Reality (or VR for short) is the new trend that was recently introduced to e-learning. A popular definition describes VR as “the computer-generated simulation of a three-dimensional image or environment that can be interacted within a seemingly real or physical way by a person using special electronic equipment, such as a helmet with a screen inside or gloves fitted with sensors.” VR is not to be confused with augmented reality that is defined as “a technology that superimposes a computer-generated image on a user’s view of the real world, thus providing a composite view”. Virtual reality applications can be effectively used in order to train professionals. When combined with the capabilities of e-learning, it can provide a unique approach to advance the ways people work and learn using their personal computer. 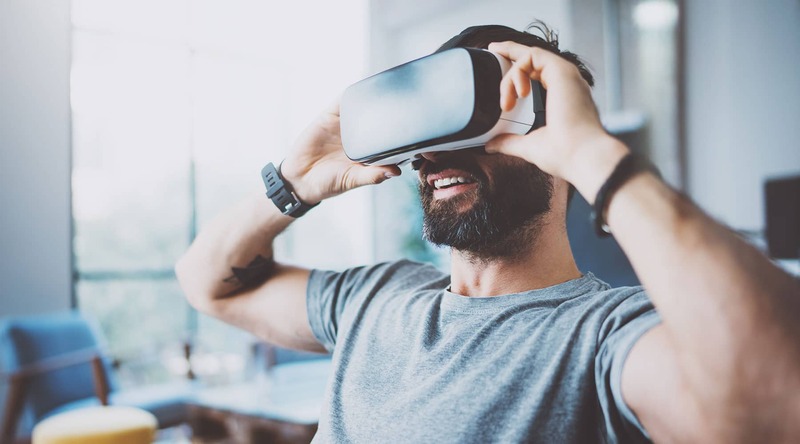 Virtual reality e-learning applications in the business sector can help training departments to provide simulations of scenarios or situations that otherwise would be hard to simulate in a real life environment. Applications of such technology in the maritime industry may vary: mooring operations, machinery adjustments, fire in the kitchen, explosions in an engineering room are only some of the examples of how VR can help in the efficient training of personnel through the simulation of very stressful or even life threatening situations. Is it possible that Virtual Reality to be spread across a whole industry, keeping in mind the cost of required equipment and resources needed? Virtual reality equipment becomes more advanced but at the same time more versatile to be used with a broad variety of devices and peripherals as well as mobile and desktop operating systems. Virtual reality headsets, requiring a smartphone to be fully functional, can be as cheap as 15$ per unit, making them an affordable solution for many companies seeking to implement VR training applications. “Training in a virtual world can be as good as on a real piece of equipment” according to Brian Blau, research vice-president at Gartner who specializes in immersive tech. If this innovative technology is combined with e-learning resources in industries with specific training needs that require familiarization with situations that would be dangerous, expensive or even impossible to simulate in real life. Studies have shown that this type of training requires less time and is more effective. On top of that, experiencing a simulated event of a mistake enables trainees to react and gain practical knowledge. Below you can see a VR video produced by SQLearn as part of a lessons learnt e-learning course based on a mooring operation. The video is best viewed with the proper equipment e.g Google cardboard and by following the instructions. The VR video puts you into the position of the Chief Officer overlooking a mooring operation. Watching the video with the proper VR equipment allows you to watch the seafarers performing a mooring operation while you can see the surroundings like you were onboard the vessel. This is just a short demo of the capabilities that VR can offer combined with an e-learning course that uses 3D video.